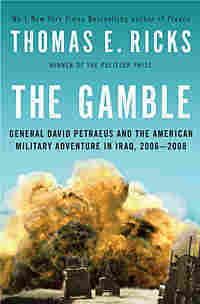 'Gamble' Author: Iraq War Only Halfway Over Author and journalist Thomas Ricks says the Iraq war "was the biggest mistake in the history of American foreign policy" and that U.S. troops will most likely remain in the country long after Obama's target date for withdrawal. The Obama administration announced Friday that it would draw down U.S. troops in Iraq, ending combat missions by August 2010. Fifty thousand troops will remain through the end of 2011. Thomas Ricks, a former Pentagon correspondent for The Wall Street Journal and The Washington Post, spent time studying America's war in Iraq and has written a book called The Gamble, about the surge and how America reversed its course in Iraq. "I think we may just be half way through this war," Ricks tells NPR's Steve Inskeep. "I know President Obama thinks he's going to get all troops out by 2011 — I don't know anybody in Baghdad who thinks that's going to happen. I think Iraq is going to change Obama more than Obama changes Iraq." Ricks says the plans in Baghdad last summer were for about 35,000 troops to remain in the country for several years. Ricks says that Gen. Ray Odierno, the commander of the Multinational Forces in Iraq, would like to see 35,000 troops there in the year 2015. "The point is as long as you have American troops in Iraq, no matter what you call them, they are going to be fighting and dying," Ricks says. "The surge worked tactically — it improved security enormously. But it didn't succeed strategically, politically. And that was its larger goal." Ricks argues that the Iraq war "was the biggest mistake in the history of American foreign policy," adding that "we don't yet understand how big a mistake this is." He paints a bleak long-term picture for Iraq, where the country is no longer an American ally. "It's not going to be a democracy, it's going to have a surprising level of violence, it's probably going to be an ally of Iran and it's probably going to be ruled by some sort of dictator, some sort of little Saddam," Ricks says. The surge really began even before the first of the surge brigades arrived. That may sound paradoxical but isn't, because the surge was more about how to use troops than it was about the number of them. The first new brigade wouldn't fully arrive until February, but as the bombings increased in January, the 1st Cavalry Division, which already was in the country, escalated its efforts to protect the population, seeking new ways to protect markets, neighborhoods, main roads, and bridges, said Col. Tobin Green, the division's chief of operations, and a friend and former student of Eliot Cohen. "I believe that was a turning point," Green said, "a visible sign of commitment to protecting the Iraqi people." Moving American soldiers from big isolated bases and into new posts of 35 men (if platoon- sized) to around 100 (if manned by a company) located in vacant schoolhouses, factories, and apartment buildings in Baghdad's neighborhoods was the hardest step. Essentially, U.S. forces were sallying out to launch a counteroffensive to retake the city. Seeking to translate the strategy into operational and tactical sense, Odierno was looking downward, monitoring the adjustments of subordinates from division commanders to platoon leaders. "That's especially difficult with units that were already there," recalled Keane, his mentor. "He was transitioning those forces from a very defensive strategy to an offensive strategy." On top of that, having only the minimum amount of troops that he and Keane thought he needed, Odierno began to move them around in order to maximize their effectiveness. "He took risks," Keane said. "The easy thing would have been to put all the surge brigades into the city." Instead, following the "What would Saddam do?" approach, Odierno put much of his combat power outside the capital. This was the biggest difference between Odierno's plan and the one Keane and Kagan had pulled together at the American Enterprise Institute. Eventually, he would split his total available combat power evenly between the city and its surroundings, with six brigades in each. In February, the 2nd Brigade of the 82nd Airborne Division, the first official surge brigade, was sent into eastern Baghdad. Over the next several weeks, 19 new outposts were established across Baghdad. "Get out of your Humvees, get out of your tanks, your Brads, and walk around," Army Maj. Joseph Halloran, an artillery officer, later summarized. "Stop commuting to war. . . . The concept of a super FOB [forward operating base] is more damaging to the war effort than any Abu Ghraib or Haditha incident could ever be." The first days were surprisingly violent, with an average of almost 180 attacks a day on U.S. forces. "That was the battle of Baghdad," Petraeus said looking back 18 months later. "It was just very very difficult, very very hard." During February 2007, Baghdad suffered an average of more than one car bomb attack a day. Between late January and late February, at least eight U.S. helicopters were shot down. In March, the second surge unit, the 4th Brigade of the 1st Infantry Division, began operations in western Baghdad. One skeptical soldier from the Big Red One told a reporter that he didn't expect the new approach to work. "It's getting worse and worse," he explained to the Washington Post's Joshua Partlow. "They don't even respect us anymore. They spit at us, they throw rocks at us. It wasn't like that before." In some Shiite neighborhoods, units were greeted by stacked loudspeakers blaring the chants of the Jaysh al- Mahdi, Moqtada al- Sadr's militia. In Sunni neighborhoods that had been ethnically cleansed, patrolling soldiers often found piles of executed bodies and vacant houses with blood smeared on the walls. This is how the operations officer for a battalion operating in southwest Baghdad recalled that time to a researcher for the official Center for Army Lessons Learned: When we first moved into the AO [area of operations], it was house- to- house clearing, and fighting most of the way. It took months before we could drive more than halfway north through the mulhullas without hitting multiple IEDs and taking fire. It got so bad that we twice had to turn over part of our battlespace to Strykers [wheeled armored vehicles]. We focused on establishing a foothold by clearing house by house and holding with a 24x7 presence. Then we began establishing our HUMINT [human intelligence] sources, pulling out bad guys, and building relationships with the people. We also focused on splitting the insurgency. It was composed of two main groups. First were the local mujahadin, who were truly concerned about protecting the neighborhood from the Shiite Militias, particularly Jaysh al- Mahdi (JAM). They were generally actually concerned with the people. The second element was Al- Qaeda in Iraq (AQI). The people were getting tired of all the violence in the neighborhoods, of things blowing up and getting innocents killed. Every time something happened, we'd say "AQI did this too you. Why do you allow it?" When we lost people, we'd stay restrained and not seek vengeance. The first task was simply surviving. "Our first two weeks were tough," Lt. Jacob Carlisle, a platoon leader, later said. "We had to clear every day, and we got hit every day." Indeed, in June, he would be shot in the thigh and hit by shrapnel in the face and arm. Not all soldiers liked the shift into the population. "My platoon sergeant came to Iraq with the idea that we were going to hide for fifteen months and all come back alive," recalled Lt. Schuyler Williamson of the 1st Cavalry Division. "When I told him that we were not going to do that, he said I was going to get my soldiers killed." The balky sergeant eventually was reassigned, Williamson added. Lt. Col. Crider led his cavalry squadron into the Doura neighborhood in southern Baghdad and lost three soldiers in one week. "We did not know who was responsible for these attacks, and no one would tell us anything," he recalled. "Our partnered National Police unit was no help as the residents of Doura, our predominantly Sunni neighborhood, hated them." In fact, he remembered, the locals referred to the police as "the militia." Bringing them into the neighborhood was seen as a hostile act. "Doura was a meatgrinder," recalled Command Sgt. Maj. Marvin Hill. When Baker Company, a unit in the 2nd Infantry Division, moved into there, it was greeted with "constant enemy small- arms fire, IED, RPG, and grenade attacks, often surprisingly coordinated," recalled Lt. Tim Gross, a platoon leader. Baker began by spending three nights using shovels, screwdrivers, and tire irons to remove 18 " deep- buried" bombs in its area. The soldiers lied to the locals that they knew where all the bombs were because they had so many local sources of information. "We don't need any more information because we had hundreds of people cooperating," was the bluff, as Capt. Jim Keirsey, Baker's commander, recalled it. In fact, they began with almost no information from the people of the area, who had felt abused by Iraqi police operating in the area. Indeed, Baker later would ban the most abusive of the police, the militia- infested National Police, from entering the neighborhood. Despite being attacked constantly, Baker Company, with roughly 125 men, began conducting patrols around the clock. It tried to be precise in the use of force. 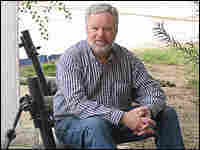 "Shooting the right guy teaches the enemy and population that evil has consequences," Keirsey wrote. "The corollary is that a poor shot—one that hits an innocent person or leads to collateral damage—is worse than not shooting at all." Gross, the platoon leader, called this mind- set "protect the innocent, punish the deserving." He said it especially impressed the locals when one of his platoon's patrols, while amid civilians, was ambushed. After a girl was hit, his platoon sergeant picked her up and rushed her to medical care. "An informant reported the incident as a large turning point towards winning the people of our neighborhood," Gross said. There was a new savviness to the way American forces were operating. Baker Company's most effective tactic didn't involve firepower but instead walking and talking. Its soldiers conducted a thorough census that mapped the 3,500 households in its area of operations, photographing all male inhabitants and collecting their grievances. Dubbed "Operation Close Encounters," it was done slowly and carefully, with some interviews lasting an hour. Keirsey ordered that the soldier doing the talking should sit down, take off his helmet and sunglasses, accept any drink offered, and speak respectfully. The other members of the patrol should stay in uniform and quietly focus outward on security, rather than join the conversation. In this way, they learned about suspected bomb planters and about Iraqi police abuses. As a result of ethnic cleansing, there were many empty houses. Rather than let them be used by militias, the American troops padlocked their doors and gates. They also were told that while the area was controlled by insurgents, U.S. funds had helped finance the enemy, because the insurgents got kickbacks from contractors. "People are getting rich working with Americans in Iraq," said Keirsey. "Make sure they are the right people." It was an important lesson, but not one that many American officials had heeded in earlier years. Visiting Iraq, Keane saw not only Petraeus and Odierno but their division and brigade commanders. He would push them. "How many of your platoons are outside the FOB and on the street twenty- four/seven?—that was always a huge dimension for me. And some of those guys would be hedging—they would have one- third of them out there. I said, 'No guys, you would have to have two- thirds, for sure. And if you could, get them all out there and be protecting yourself back in the FOB using someone else,'" such as support units or contractors. By May 2007, the 1st Cavalry Division, which was the core unit for Baghdad, at any given point had 75 percent of combat forces off its headquarters post, said Maj. Gen. Joseph Fil Jr., the division commander. The typical cycle for a unit was five and a half days out, followed by one and a half back on post to rest, refit, check e- mail, and clean up. Having troops live where the action was added enormously to their effectiveness, not only in increased awareness but also simply in response time. "You're not driving and hour and a half to do a ninety- minute patrol," Fil said. The 1st Cav's 1st Brigade, stationed north and northwest of Baghdad, set out to eliminate al Qaeda's safe havens and crack down on the networks sending car bombs and roadside bombs into the capital. But at first it didn't feel it had enough troops for those tasks. "I was frustrated because the only thing we were doing was terrain denial—we were so strung out securing the LOCs," or lines of communication, said Maj. Patrick Michaelis, the brigade's S- 3, or chief of operations. With the troops he had, he explained, trying to keep major roads clear of ambushes and bombs was "all we could do." Dozens of soldiers were killed. The unit didn't begin to feel the effects of the surge until mid- May, after it was given an additional battalion from another division, he recalled. Thus reinforced, its operations against al Qaeda would become a model that Petraeus would cite, as the brigade pushed into the areas where al Qaeda fighters and their allies had found sanctuary. "We fought our way in," he recalled. The enemy was ready, having deeply buried bombs on the roads in the area. One had a full 1,200 feet of copper wire leading to the trigger—far further than U.S. forces were trained to look for the triggerman. At almost every new outpost established, a series of fights and terrorist actions would ensue. Sentries found it difficult to stop truck and car bombs barreling toward them with mere rifle fire, so were issued bazooka- like anti- tank weapons. Frequently, al Qaeda would overreact to the new patrol bases, said Maj.
Luke Calhoun, the brigade's intelligence officer: "They'd kidnap children, kill women, threaten tribal leaders." But that counteroffensive usually backfired, he said, because the population was driven into the arms of U.S. forces, who now were available to them 24 hours a day in the new outposts. One of the hardest hit areas was the town of Sab al- Bor, which had a population of about 60,000. In August 2006, five months before the surge got under way, al Qaeda had begun shelling the town, located on the northwest fringe of greater Baghdad, with big 120-millimeter mortars, aiming at the primarily Shiite northwest corner of the town. But that was the only major security problem with the town, and U.S. forces were facing bigger issues elsewhere as the small civil war grew. In late September 2006, the town was turned over to Iraqi police, "so I could pull B Troop and the IA [Iraqi army] out of the town and move them to other, hotter areas," recalled Col. James Pasquarette, who commanded the U.S.
Army brigade based nearby. But on October 3, soon after that move, the mortar attacks escalated. Shiites in the town retaliated by shooting up Sunni neighborhoods. Thousands fled the town, including the Iraqi police. Soon only about 5,000 inhabitants remained. The young male Shiites who were displaced became willing recruits for Shiite militias, which intensified the cycle of violence. The turnaround for the 1st Cav brigade, commanded by Col. Paul Funk, began in 2007 after a Marine unit moved to the west side of the brigade's sector, cutting off al Qaeda's roads south to Fallujah and north to Tamariyah, Samarra, and Tikrit. Almost instantly the mortar shelling of Sab al- Bor ended. U.S. Army engineers purposely weakened a major bridge so that pedestrians could cross but not vehicles, and the car bombings stopped. By October 2007, Michaelis said, al Qaeda seemed to make a strategic decision to retreat northward to Mosul. The improvement in security provided multiple benefits. During that period, more and more local militias came over to the American side. Turning over checkpoints and outposts to them freed up the 1st Cav units for other missions. Also, the locals began providing precise intelligence. "The info we were getting from the CLCs [Concerned Local Citizens] was phenomenal," recalled Michaelis. If they said there were six bombs in a road, and American explosives experts only detected five, the local fighters would insist that they had missed one—and would be proven right. In October, representatives of local Sunni and Shiite militias that had turned also met jointly with representatives of the Iraqi government in what the 1st Cav labeled "The Northwest Baghdad Regional Security Summit." Michaelis remembers thinking that day, "That's what 'right' looks like." Finally, elements of local governments began to surface. "We started seeing guys pop up. 'I'm the water official for the district.' 'Well, where the hell have you been for the last fifteen months?' 'There's no way I was gonna stick my head up when al Qaeda was gonna kill me.' " By the end of the unit's tour that winter, in late 2007, Michaelis said, "We'd start seeing video shops, Internet shops, cigar shops. These are not things you buy when you are at the low end of Maslow's hierarchy of needs." And the population of Sab al- Bor was back up to 21,000. The brigade's transformative experience would be replicated in a dozen other areas in and around the capital in 2007.